Rice University chemists have created a new material that adds carbon nanotubes as reinforcing bars (“rebar”) — mimicking how steel rebar is used in concrete — to make it easier to manipulate, while improving the electrical and mechanical qualities of both materials. The technique should be of interest to electronics manufacturers, said Rice chemist James Tour. He suggested that by stacking a few layers, the new hybrid could be a cost-effective replacement for the expensive indium tin oxide (ITO) now used in displays and solar cells. Graphene, a single-layer matrix of carbon atoms, may be one of the strongest materials on the planet, but it can be a challenge to lift the tiny sheets from the catalyst substrate on which they’re grown, generally by chemical vapor deposition (CVD), Tour said. “Normally you grow graphene on a metal, but you can’t just dissolve away the metal,” Tour said. “You put a polymer on top of the graphene to reinforce it, and then dissolve the metal. To create what they call “rebar graphene,”` the researchers simply spin-coat and then heat and cool functionalized single- or multiwalled carbon nanotubes on copper foils, using the nanotubes themselves as the carbon source. When heated, the functional carbon groups decompose and form graphene, while the nanotubes partially split and form covalent junctions with the new graphene layer. 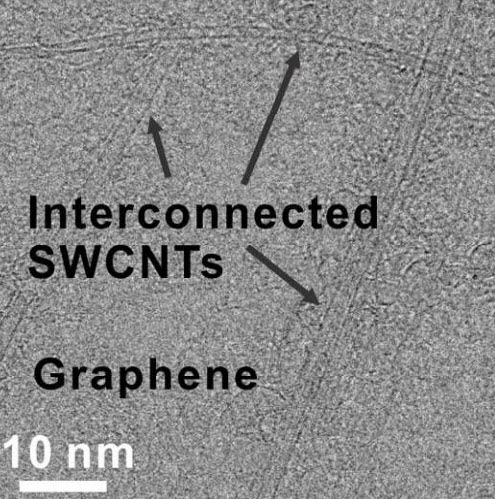 The interconnected, embedded nanotubes strengthen the graphene, Tour said. “We can see in our images how well the nanotubes bear the load. When we stretch the material, the tubes get thinner,” he said. Because the electron microscope images let them determine the nanotubes’ chirality — the angles of the hexagons that make up the tube — the researchers were able to calculate the tubes’ diameters and know precisely how much thinner they get under tension. The networked nanotubes also make the material a better conductor than standard CVD-grown graphene, Tour said. Graphene as grown is never a perfect matrix of hexagons; instead, it consists of crystals that grow separately and connect at grain boundaries that disrupt the flow of electrons. The nanotubes in rebar graphene effectively bridge those boundaries. “The big thing for industry is to see if they can get graphene to substitute for ITO for transparent displays,” Tour said. “But ITO is rigid, and it breaks when you drop your smartphone, for example. Graphene and nanotubes, on the other hand, would afford flexible displays. Researchers at the University of Illinois, the University of Texas at San Antonio, and King Abdulaziz University, Saudi Arabia were also involved in the study. The Office of Naval Research Multidisciplinary University Research Initiative (MURI), the Air Force Office of Scientific Research and its MURI program, the National Center for Research Resources and Health Disparities of the National Institutes of Health, and the National Science Foundation supported the research. As the cylindrical sp2-bonded carbon allotrope, carbon nanotubes (CNTs) have been widely used to reinforce bulk materials such as polymers, ceramics, and metals. However, both the concept demonstration and the fundamental understanding on how 1D CNTs reinforce atomically thin 2D layered materials, such as graphene, are still absent. Here, we demonstrate the successful synthesis of CNT-toughened graphene by simply annealing functionalized CNTs on Cu foils without needing to introduce extraneous carbon sources. 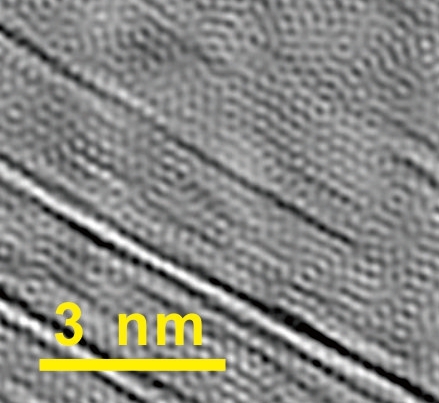 The CNTs act as reinforcing bar (rebar), toughening the graphene through both π–π stacking domains and covalent bonding where the CNTs partially unzip and form a seamless 2D conjoined hybrid as revealed by aberration-corrected scanning transmission electron microscopy analysis. This is termed rebar graphene. 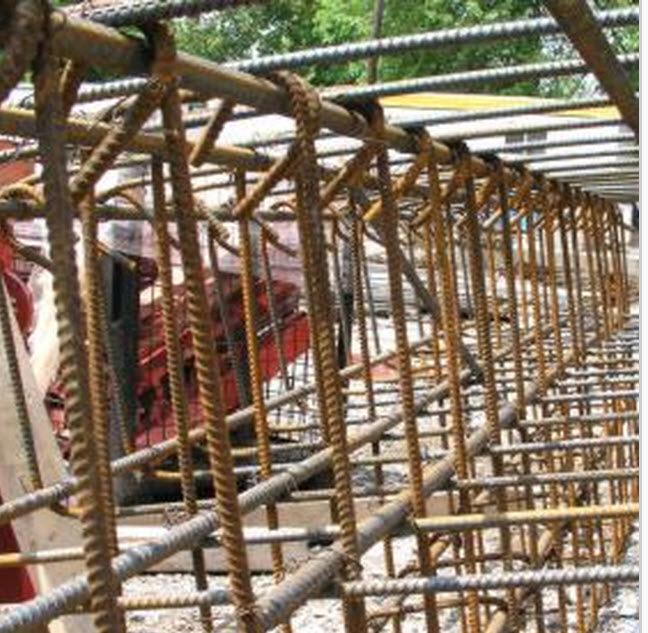 Rebar graphene can be free-standing on water and transferred onto target substrates without needing a polymer-coating due to the rebar effects of the CNTs. The utility of rebar graphene sheets as flexible all-carbon transparent electrodes is demonstrated. The in-plane marriage of 1D nanotubes and 2D layered materials might herald an electrical and mechanical union that extends beyond carbon chemistry.